British supermarket chain ASDA has brought in the British royals (their lookalikes at least) to help celebrate Christmas 2016. The Asda Royals commercial, released on Facebook, Queen Elizabeth and the Duke of Edinburgh arrive at Prince William and Kate’s house for Christmas lunch, accompanied by Prince Harry, Prince Charles and Camilla, the Duchess of Cornwall as well as Prince George and Princess Charlotte. Kate brings out the bubbly, turkey, festive macarons and sweet treat. Camilla and the Queen wonder of she’s purchased her food from Marks & Spencer or from Waitrose. Kate responds with a tap on her behind, a reference to the Asda marketing focus on money savings. The Queen gets the message and is suitably stunned. The doorbell rings. Kate gives Harry a conspiratorial smile. And hey it’s his new American girlfriend Meghan Markle at the front door. 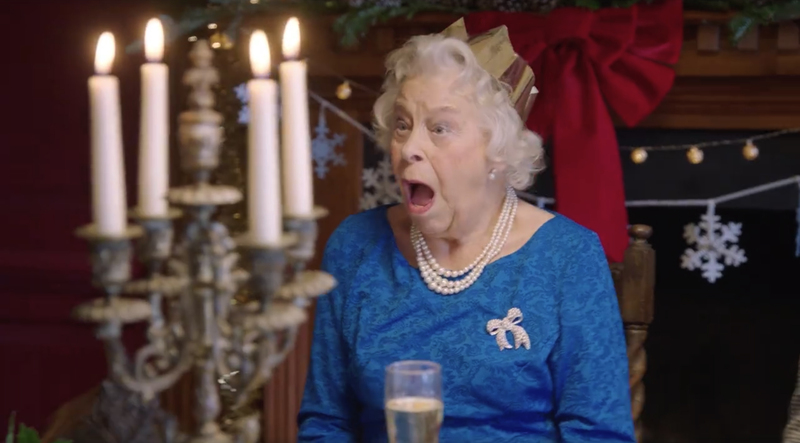 The Asda Royals Christmas campaign follows on from “A Very Royal BBQ”, a commercial launched in July, featuring a battle between William and Harry for the best back yard barbecue. The Asda Royals commercial was shot by director Robin Schmidt at Hoot with producer Andy Harvey, director of photography Gareth Ward and art director Jade Mortimer.